A few weeks ago, I wrote this post about Treasure & Bond, Nordstrom’s fantastic new all-proceeds-to-charity concept store. It’s a great concept and a beautiful store, and I’m thrilled that we got to bake these logo cookies for them for Fashion’s Night Out. Their logo includes an ever-changing ampersand, a theme we drew upon for these cookies. Does transporting 200 cookies by hand across town count as a substitute for weight training? 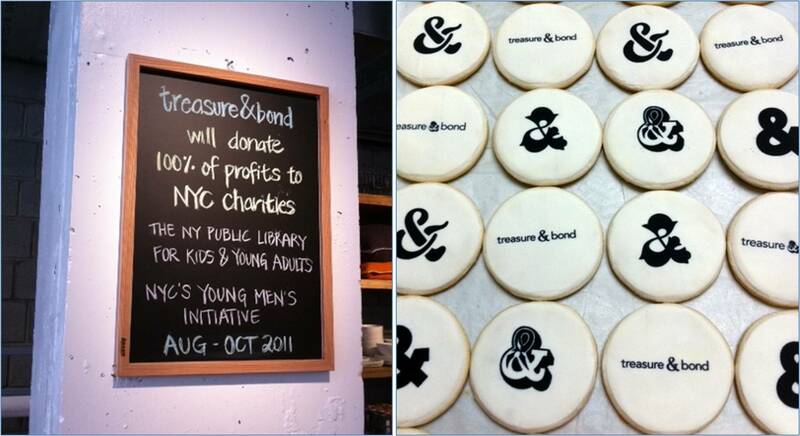 This entry was posted in cookie gifts, New York City and tagged fashion's night out, logo cookies, treasure & bond. Bookmark the permalink.